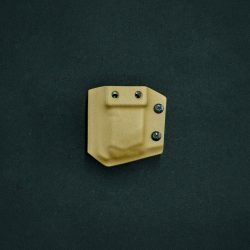 Don’t like waiting to have a custom holster made? 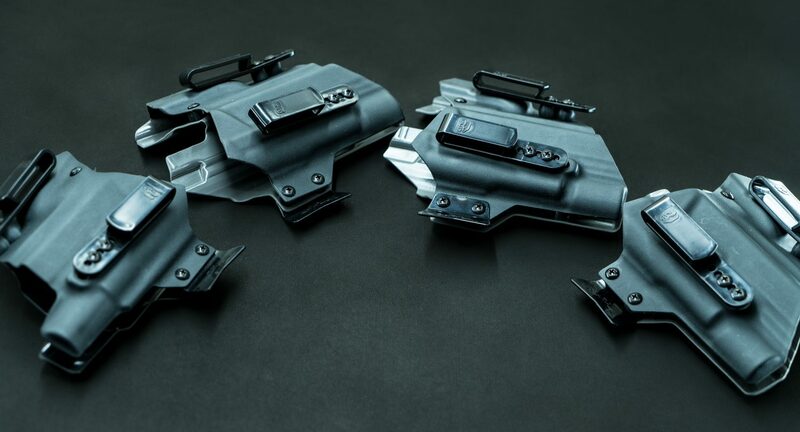 Well, if you’re looking for Sidecar for a Glock with weaponlight ASAP, this is just what you need! Stocked in common configurations, they ship within a few days. For other configurations, see our custom Light-Compatible Sidecar. Quick Ship Glock Sidecars accommodate threaded barrels and slide-profiled compensators, as well as slide-mounted red-dot optics. 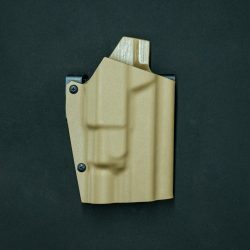 The 19-length cut will fit the full size Glock (17) or the long slides (34/17L) with some extra slide sticking out the bottom. The 17-length will accommodate shorter and longer Glocks as well. Note: the Light-Compatible Sidecar only works when a weapon light is mounted onto the firearm. For our non light-compatible version, click here. 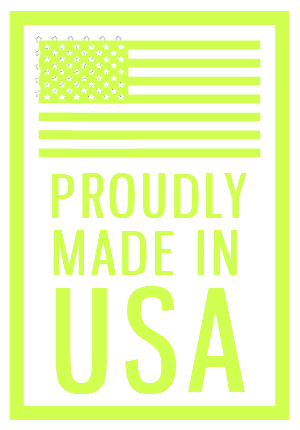 The mag carrier is canted slightly for increased comfort and easier access due to natural body mechanics. 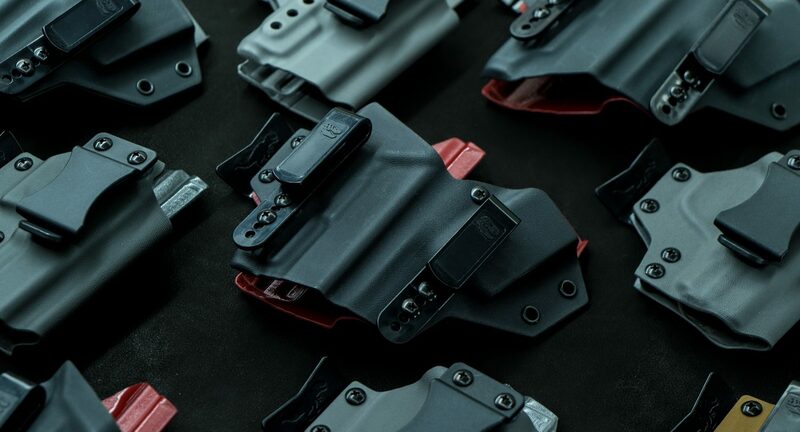 Both the firearm and magazine carrier feature variable retention so you can adjust them to your preference. Every Sidecar comes pre-installed with two Tuckable Clips on the front, and a Raptor Claw next to the trigger guard. 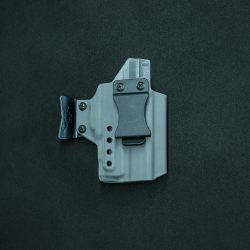 The Claw pulls the firearm grip closer to the body to improve concealment. It can be adjusted or removed to suit the your preference. 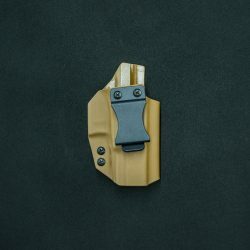 If I take the light off my pistol, can I still use this holster? Negative. 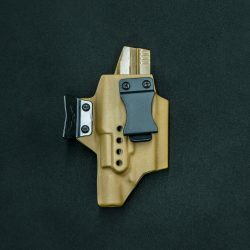 The retention of light-compatible holsters is based on the light. 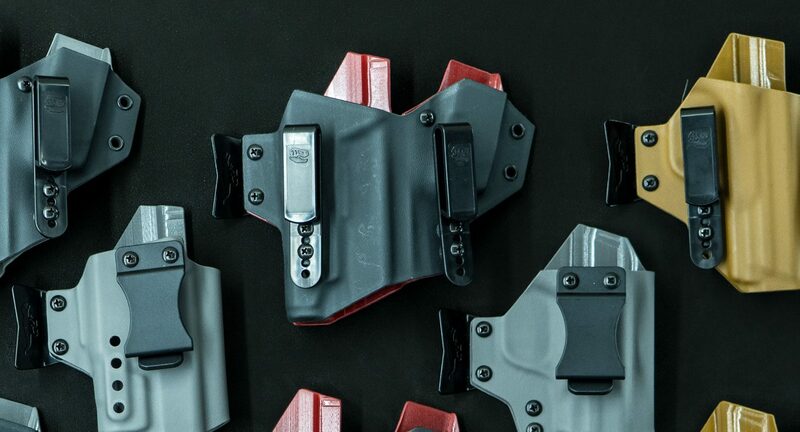 So if the light is not present on the pistol, there is virtually no retention and nothing prevents the pistol from sliding deeper into the holster than it should. At which point the draw is very difficult. 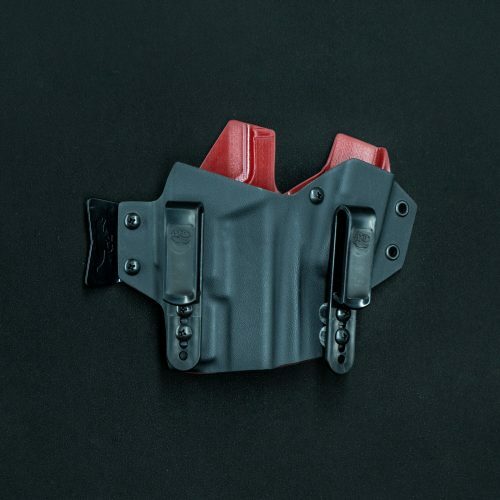 Can you wear this holster and tuck a shirt in over it? Yep! 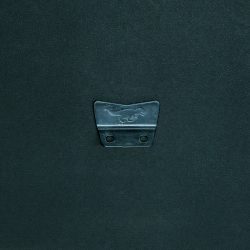 The shirt can be tucked behind the clips. 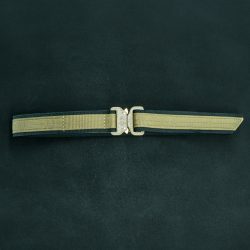 The clips will be visible over your belt. I’m… larger. 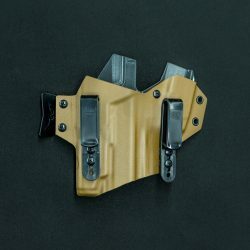 Can I wear this holster? It’s difficult to give a simple yes or no answer to this question, because everyone is a little different. However, there are lots of larger folks who use and like the Sidecar. Whether or not it works for you depends on what you wear, how tight your belt is, and your personal preferences about comfort. How tight can this Sidecar get? While the light-compatible Sidecar won’t be as tight as a regular Sidecar due to the weapon light compatibility, it can still be adjusted to be pretty tight. The particular weapon light the holster is made for can also affect overall retention. 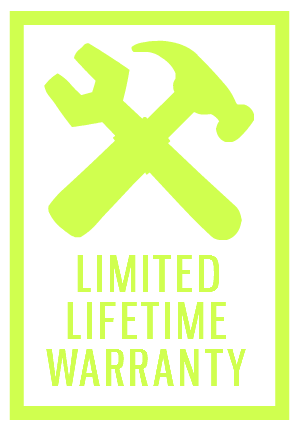 Retention can also be affected by being on/off the body and under a belt; so when your Sidecar arrives, be sure to test on the body and play around with the screws. Glock + APLc Quick-Ship Sidecar. Glock + APL Quick-Ship Sidecar. Raptor Claw mounted at different depths. 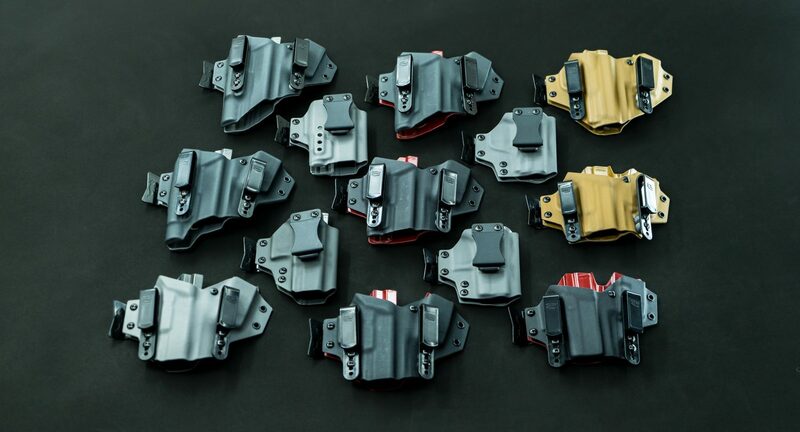 All of our quick-ship holster options – Sidecars, Raptors, and Light-compatibles. Don’t see the options you’re looking for above? Check out our custom built-to-order Light-Compatible Sidecar.